The European Union (EU) is exploring ways of helping its Common Agricultural Policy (CAP) enter the digital era after 2020. But numerous challenges still lie ahead, ranging from e-skills building, lack of broadband infrastructure and Big Data management. The greatest challenge is the involvement of farmers in the process, since they are supposed to be the main demanders of innovative solutions. Click here to download the Special Report EU farming getting smarter released by EURACTIV. 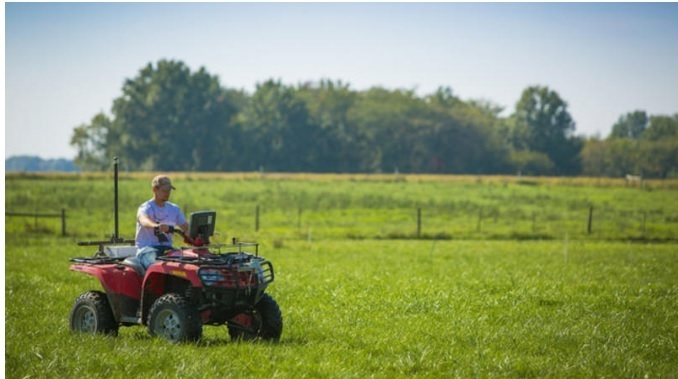 The discussion on the post-2020 CAP has already begun (Post-2020 Common Agricultural Policy (CAP) consultation launched) and it seems digital farming will take centre stage in the new framework. Below are several highlights from the Special Report 'EU farming getting smarter' stressing the importance of the digitisation of agriculture as it could help Europe address food security and environmental issues at the same time. But realising this vision will require e-skills, cost feasible technological equipment, a proper broadband infrastructure in rural areas and Big Data management, experts warn... In many EU rural areas, Internet access is limited and this holds back the use of big data. The new CAP should remove and not create new barriers to innovation. The farming sector is still faced with a number of (aforementioned +) challenges before it can enter the digital era. These include also the inter-generational “e-transition”. The point is to seek solutions (including training and access to the Internet) that apply to all farmers, no matter the size of the farm, the region or the sector. The collection and management of big data is another key issue. Farmers’ organisations fear that, if big companies control the data, monopolies risk being created and production will be focused on economic gain at the expense of other objectives. Instead of depending on a multinational company farmers could be able to bring their data from one service to another and benefit more. Any farmer, no matter the size. Data ownership and access should be organised in such a way that farmers’ competitiveness is improved. Precision farming is fundamentally about using the right amount of inputs in the right place at the right time. It is one part of a wider digitisation of agriculture. By capturing and combining data on soils, climate, crop varieties, farm management, etc., new solutions to old problems can be proposed and new products and services to create growth and jobs in the agricultural sector can be developed. Farmers are not going to invest in technology for public funding, but on the contrary, will do so if they see the value coming out of the use of technology. What the CAP can do is, for instance, not create regulatory problems like with the new breeding techniques so that farmers can use the same technology that every other farmer in the world can use. It is important to boost investments in precision farming as it will allow the legislator to switch from a prescriptive and bureaucratic approach to a results-oriented approach. A “public good bonus” as part of an EU payments system should be introduced after 2020. All types of land management aimed at preserving general biodiversity and climate and water protection would be included. The main challenges French farmers are facing is access to affordable technologies. Another challenge for French farmers, is how they can connect their devices (e.g., on the tractor, in a computer that records what is going on and a device for the satellite photo) together. Connected devices should be able to connect the data in order to avoid entering the same data. The main concept of precision farming is optimisation, meaning precise application of inputs, such as fertilisers, pesticides and irrigation water, which results in a positive environmental impact. The environmental impact of agriculture becomes measurable and verifiable by the digitisation of agriculture. Precision farming practices would inevitably contribute to better food quality, considering that precise amounts of agrochemicals will be used (thus avoiding excess) as well as the exact proportion of other natural resources (e.g. water) will be applied, always based on the precise needs of the crops. Webinar@AIMS: Big Data Europe Platform: What? for Whom? and How?